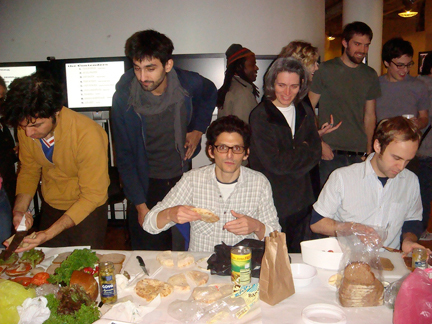 The Sandwich Competitions were experiments in interaction design for large groups. They were planned as an antidote to the screen and technology obsessed and stressed culture at my graduate program, the Interactive Telecommunications Program at NYU. We wanted students take a break from pixels, code, and microprocessors, and get a chance to be creative with organic, messy, sloppy, gooey, tactile, and flavorful materials. Rules were devised by the Sandwich Commissioners, myself and Vikram Tank. 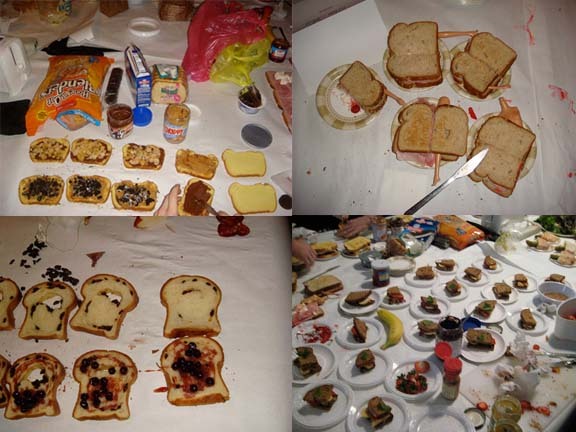 Sandwich Competition participants had 30 minutes to make a number of identical sandwiches. Toaster sharing was required. 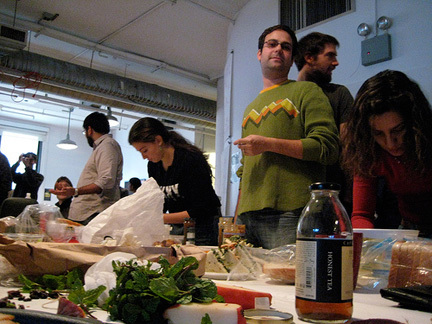 The ITP community was invited to sample the sandwiches and use our custom text-to-vote system to express their opinion. Real time results were visualized with a Processing application. 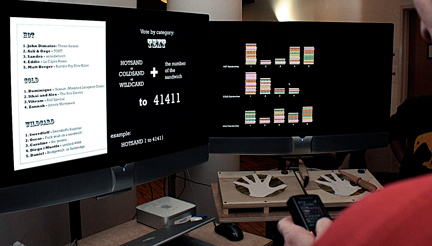 The project was a collaboration with Vikram Tank; Tom Gerhart assisted with coding the visualizer for the second event. 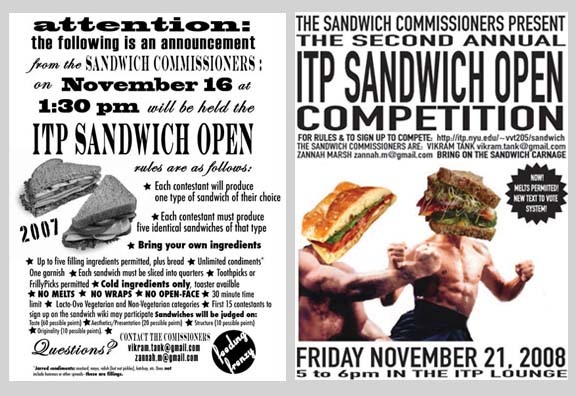 We founded the Sandwich Competition in 2008 at ITP; I co-organized the first and second annual events. A third event was organized by current students in 2010. All content © Copyright 2019 by Zannah Marsh.